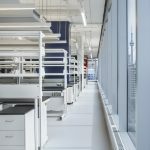 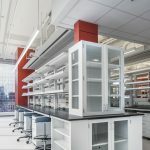 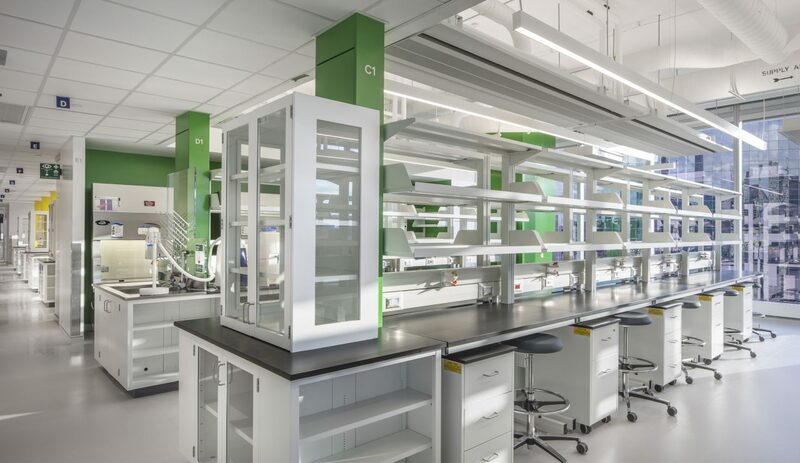 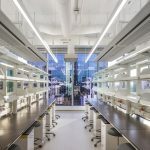 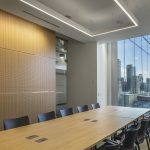 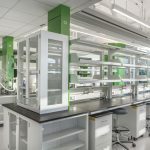 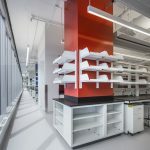 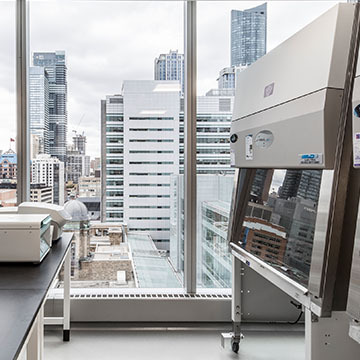 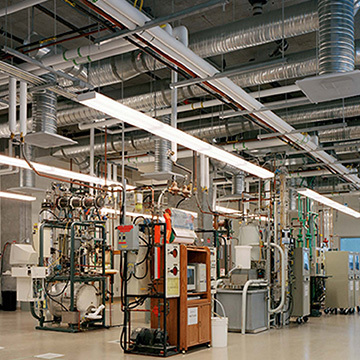 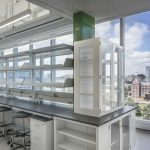 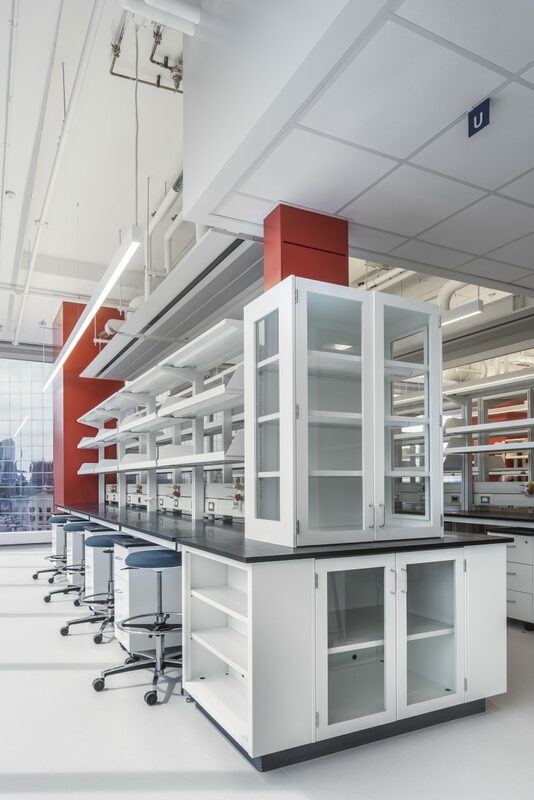 The new Ryerson Research Laboratory is a state of the art facility, which co-locates all the Research Faculty members in a collaborative, efficient, bright, open laboratory environment, embedded in the hub of the Discovery District in Downtown Toronto. 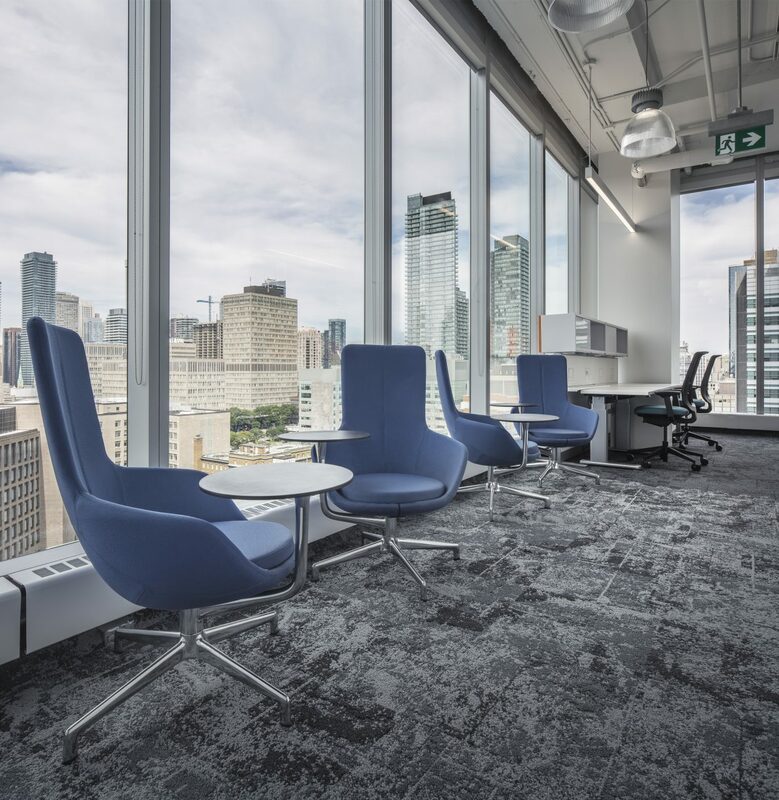 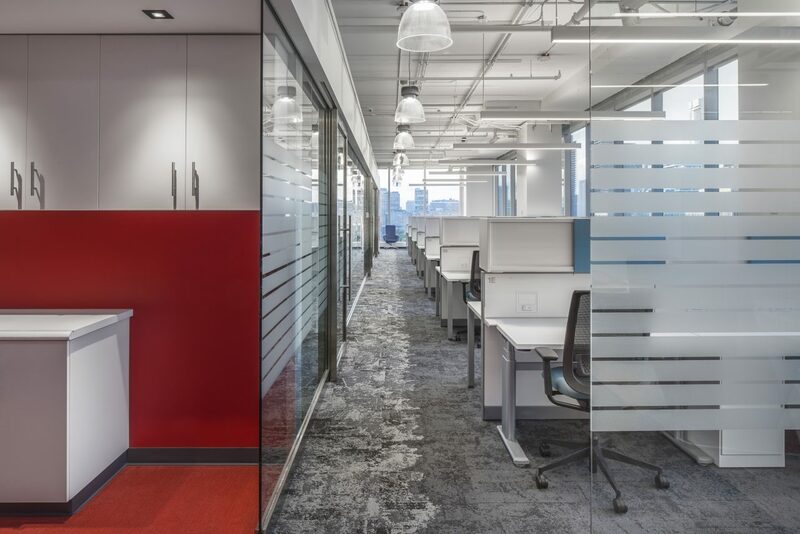 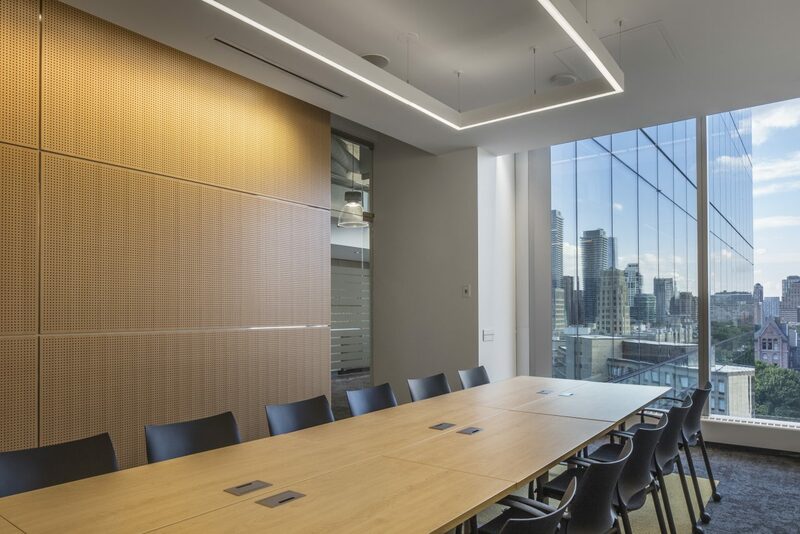 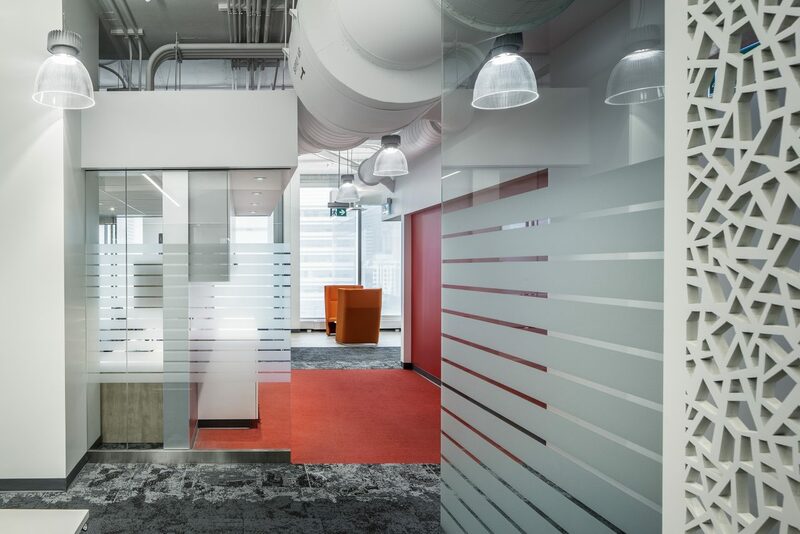 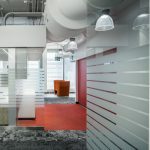 The fit-out was constructed in the MaRS Phase II Tower in Downtown Toronto, on the west side of the floorplate on the 11th floor. 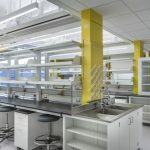 It unites the laboratories that were dispersed throughout the main campus and now serves as a 10-year interim solution. 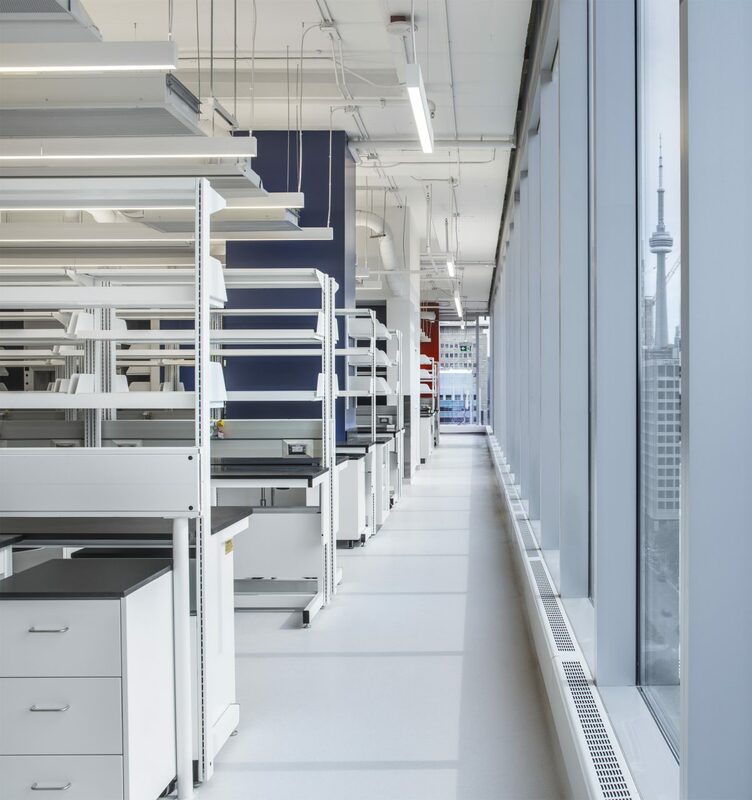 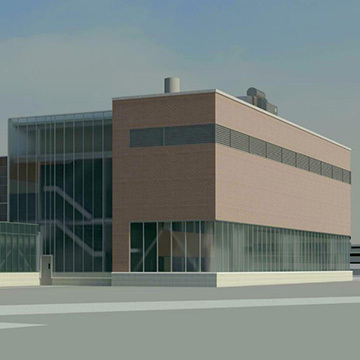 The new facility will significantly increase in the recruitment and retention of top caliber staff on campus and will be a gateway for introducing Ryerson science programs to future scientists. 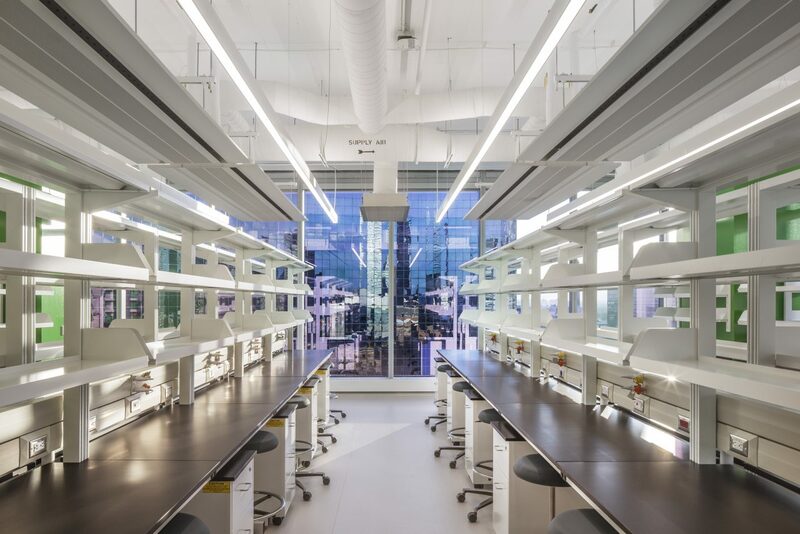 The Dry labs were organized in a banded arrangement. 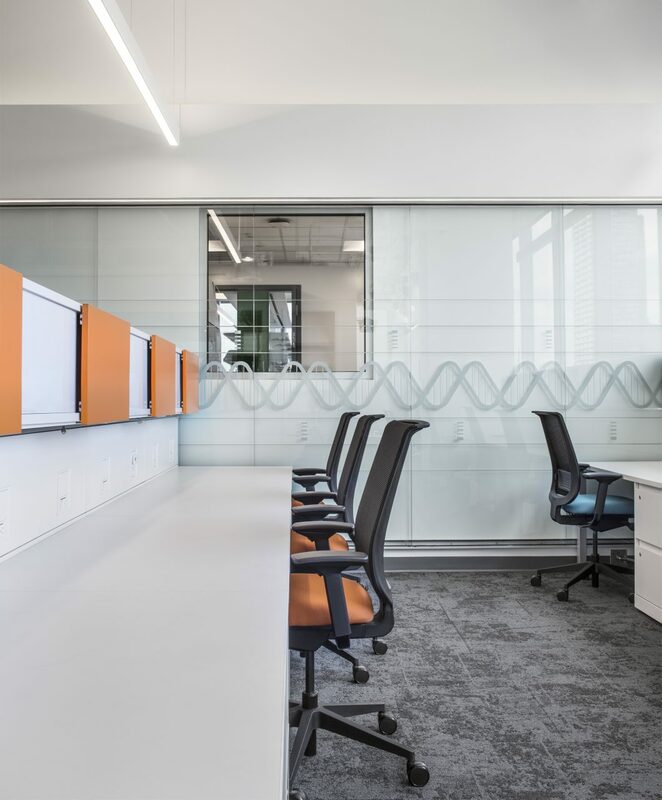 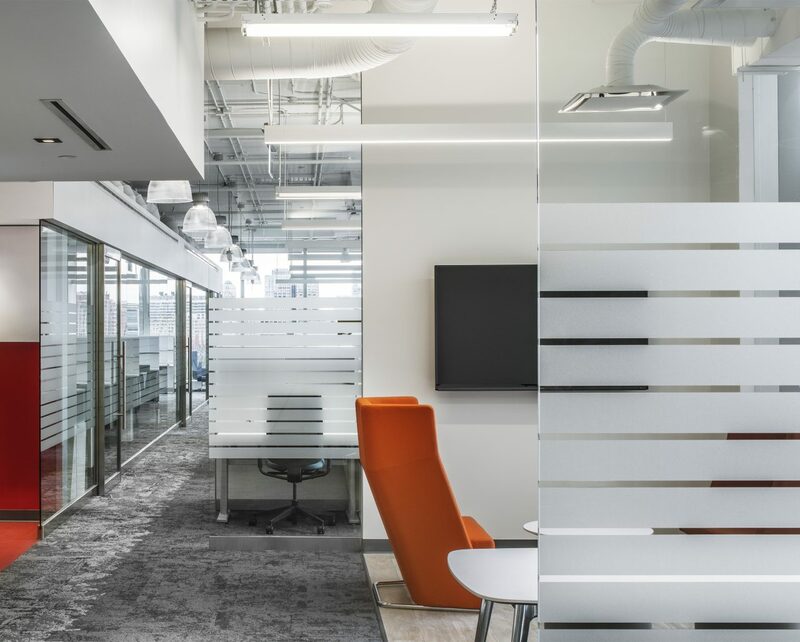 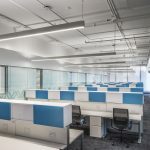 The closed offices are demised by sliding doors, with 3 on the west and 3 on the east allowing wall space for video screen or writeable surfaces for open collaboration between each P.I. 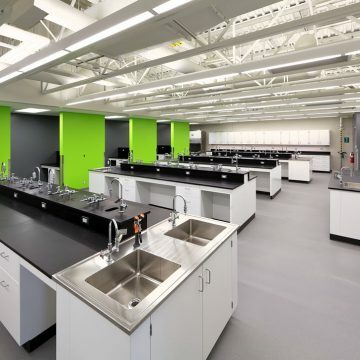 and their students. 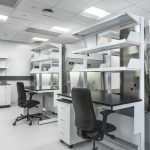 The facility includes tissue culture rooms segregated from each other so that both standard tissue culture work and viral vector tissue culture can be done concurrently. 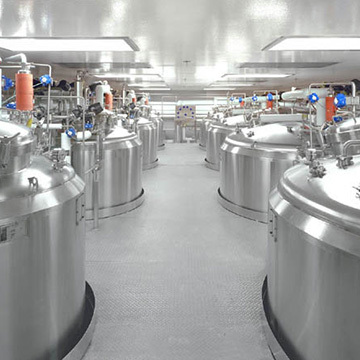 The circulation spine is bounded by area to access refrigerators and freezers and a walk-in environmental chamber. 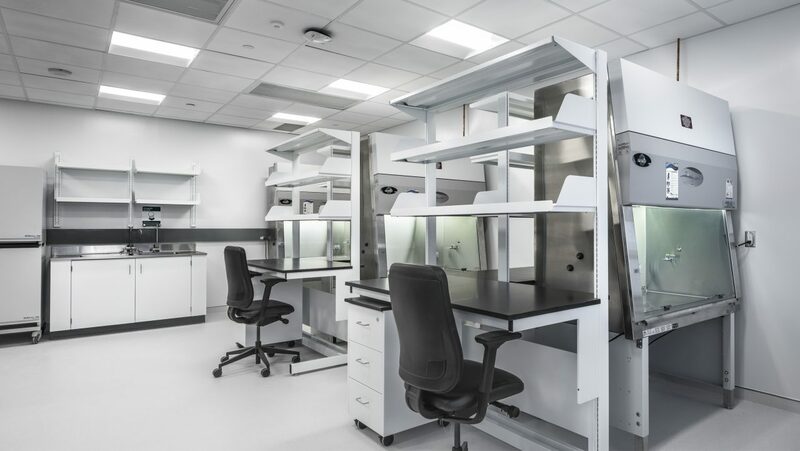 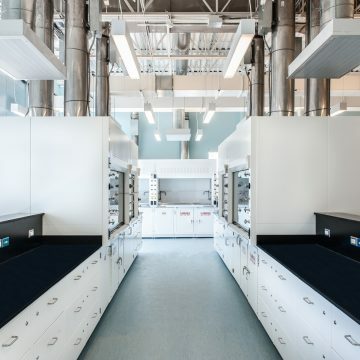 In the middle of the two open lab zones, is a support zone including microscopy, radioisotope lab, common equipment, analytical prep and analytical equipment. 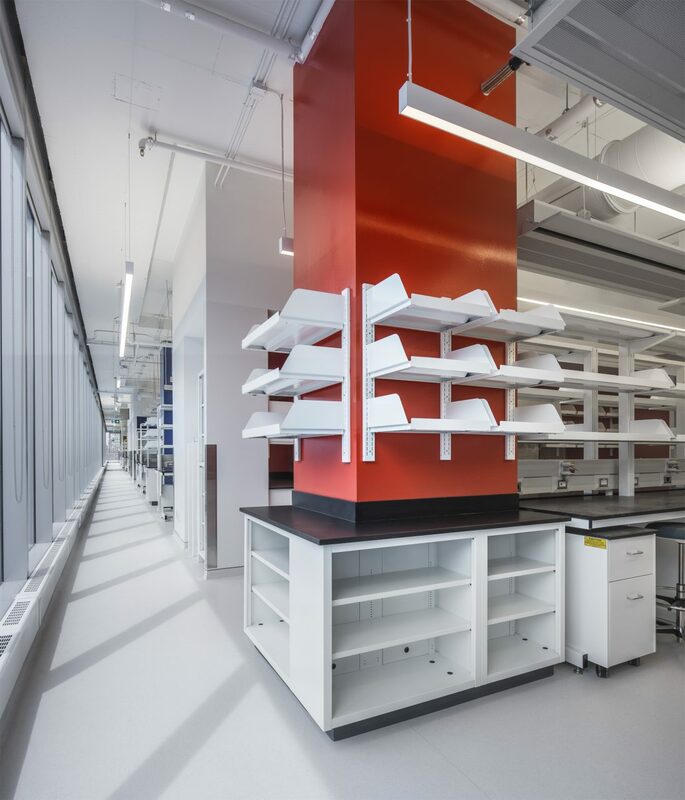 The Wet Labs have been designed to Biosafety Containment Level 2 and are configured as two open spaces. 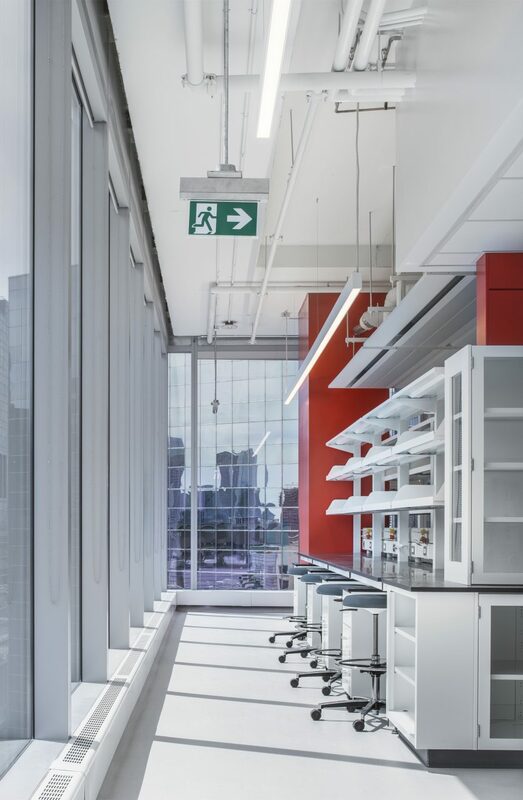 Each room is accessible via the “ghost corridor” on the east of the open lab ensuring efficient and safe movement of personnel, materials and equipment. 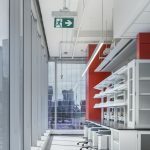 At the centre of the space is an enclosed set of rooms to accommodate the NMR Suite, cold rooms and a small collaboration space within the lab with a whiteboard and furniture to allow teaching moments in the lab space, adjacent to natural light. 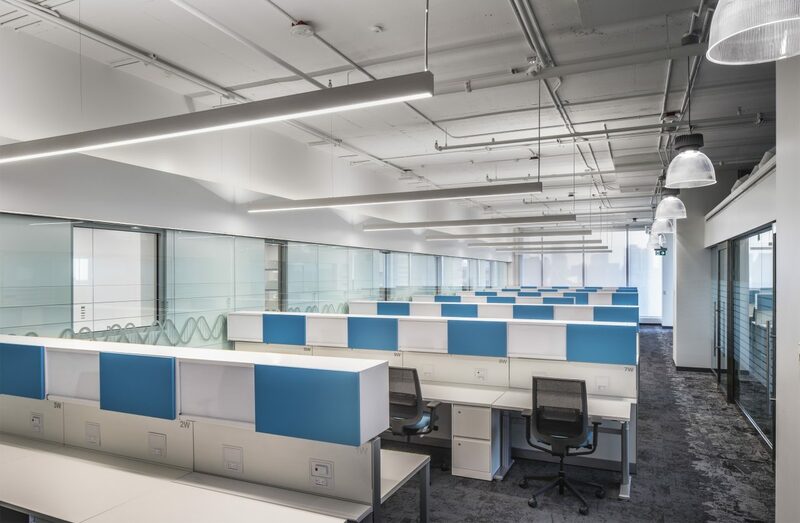 NXL worked with the University to develop a detailed programme and assess the suitability of the intended space and undertook the design and implementation of the project.